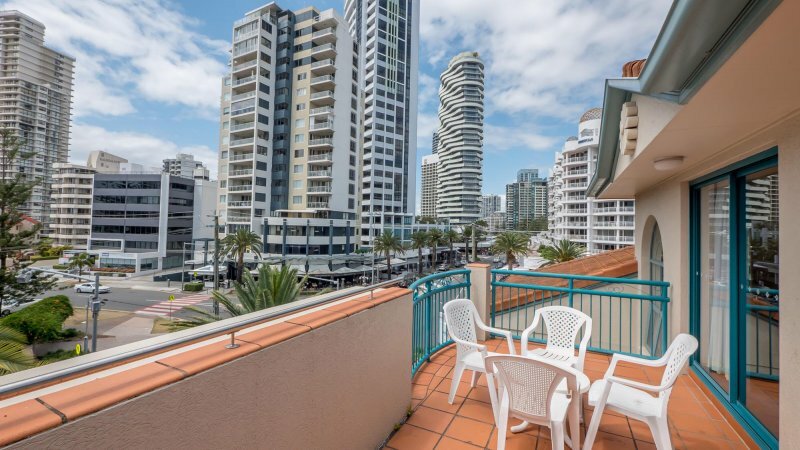 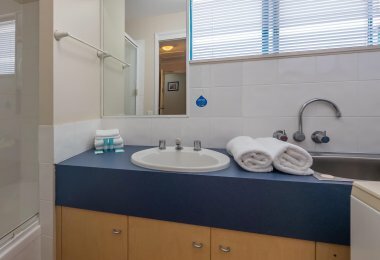 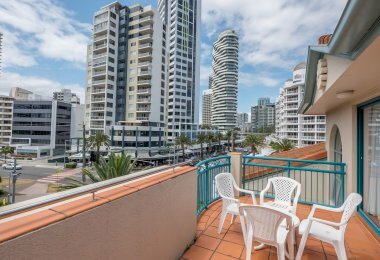 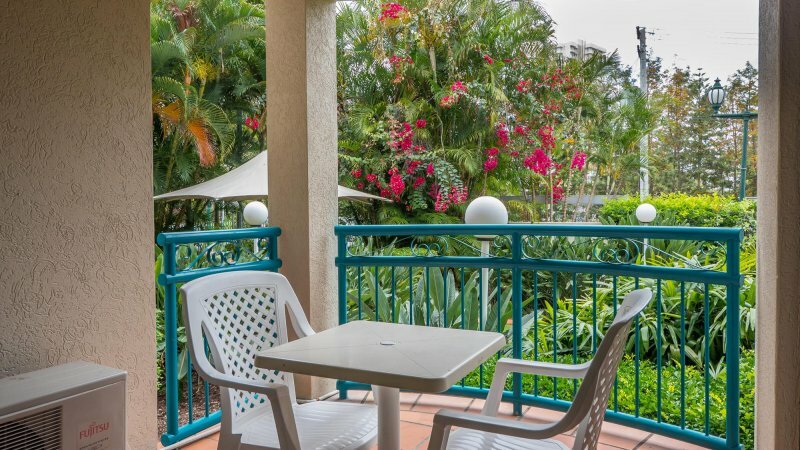 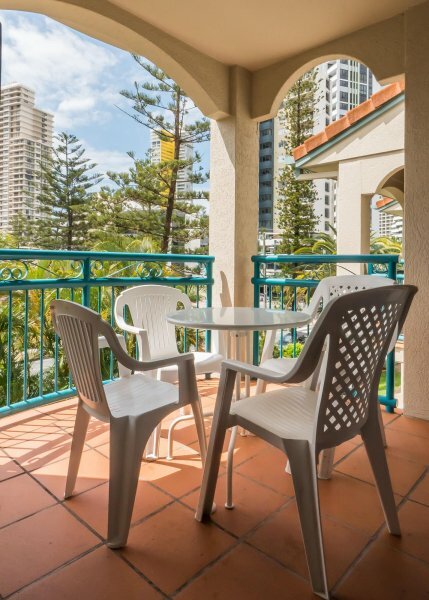 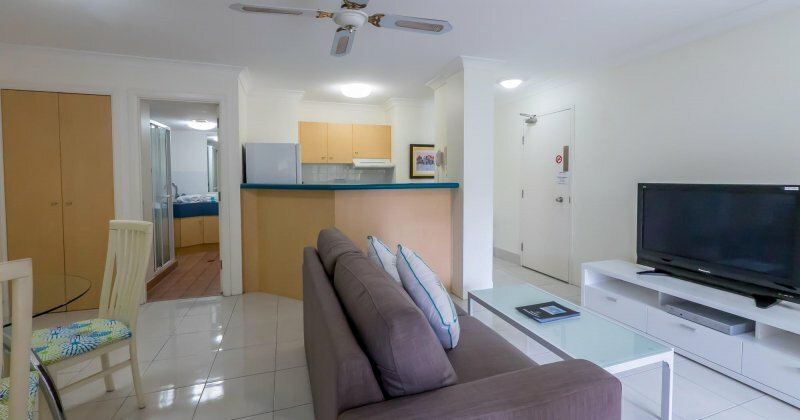 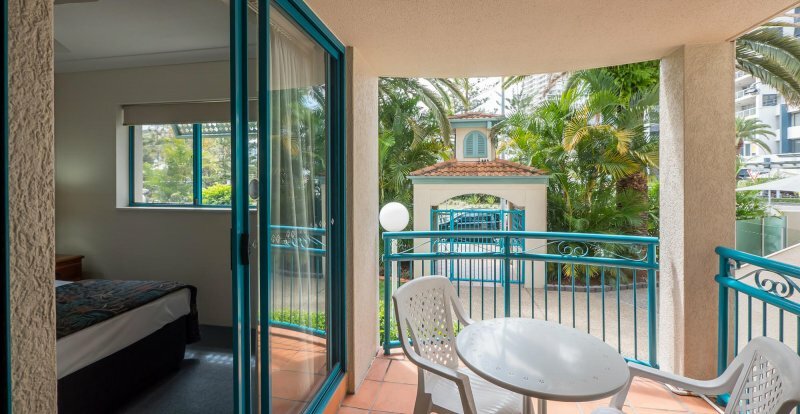 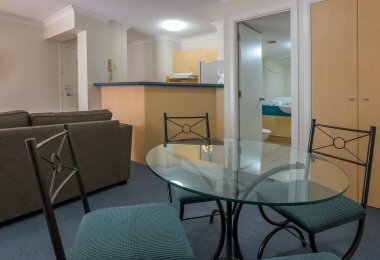 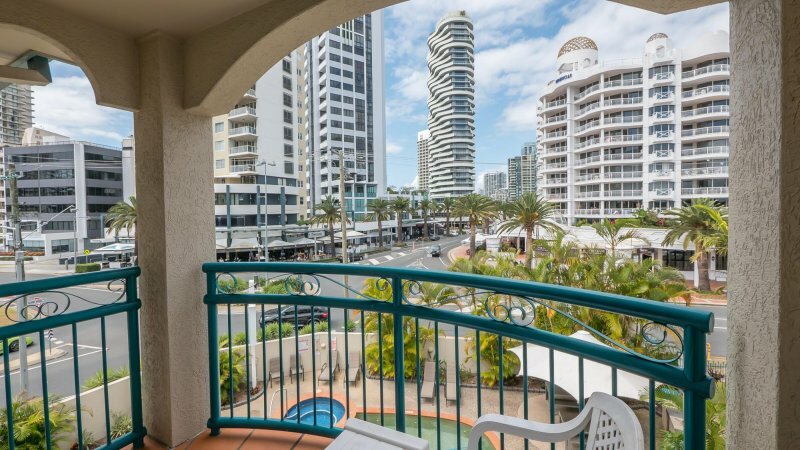 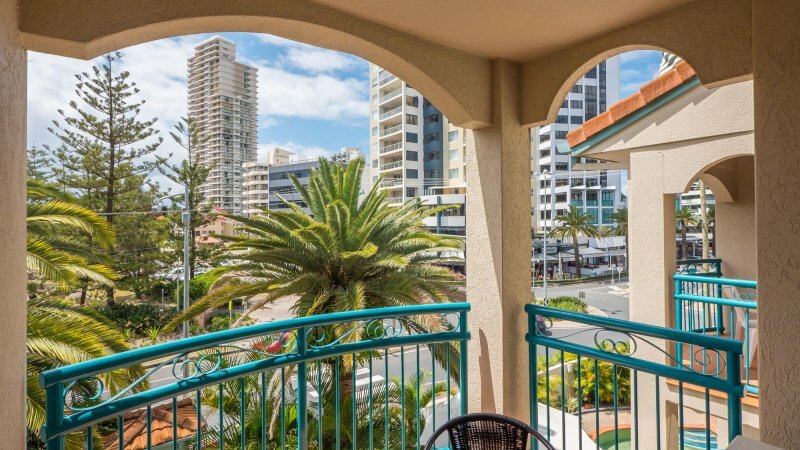 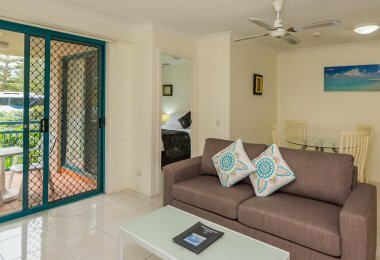 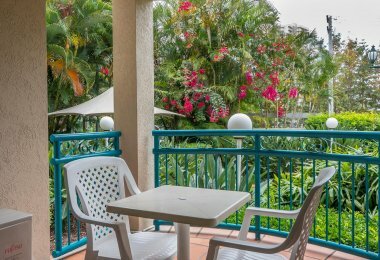 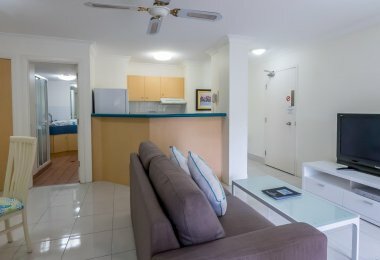 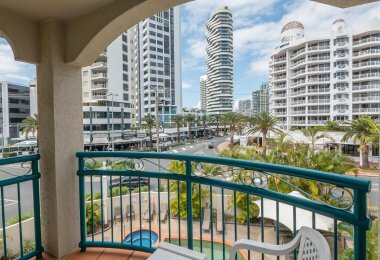 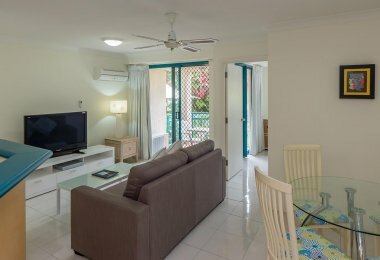 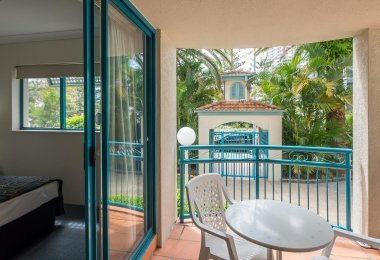 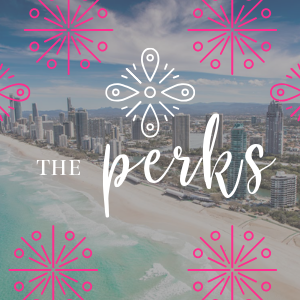 Our comfortable fully self contained Broadbeach resort apartments are perfect for families, couples and groups of friends who want to discover all the excitement and natural beauty of the Gold Coast. 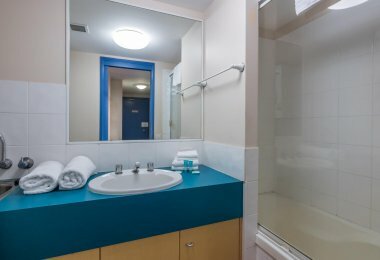 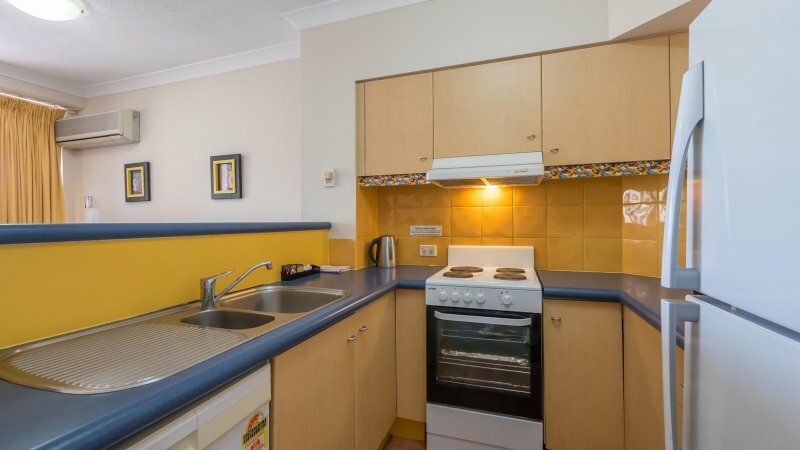 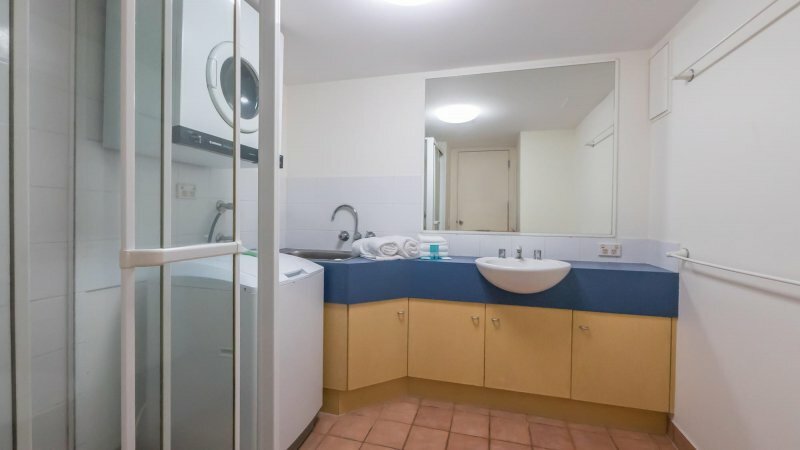 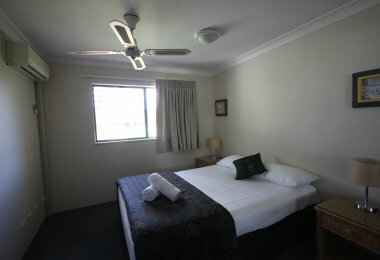 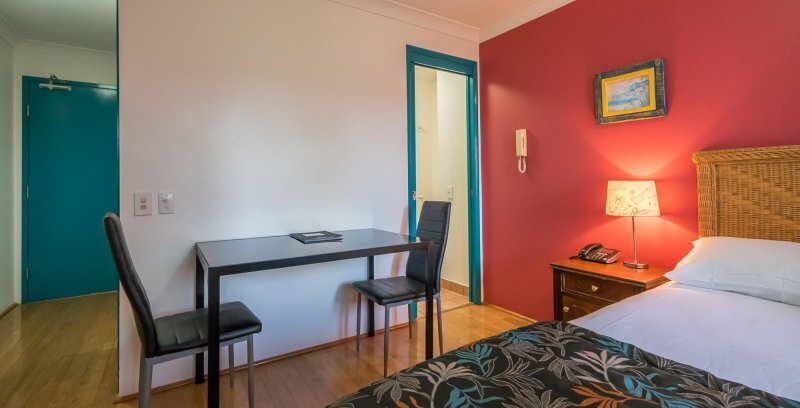 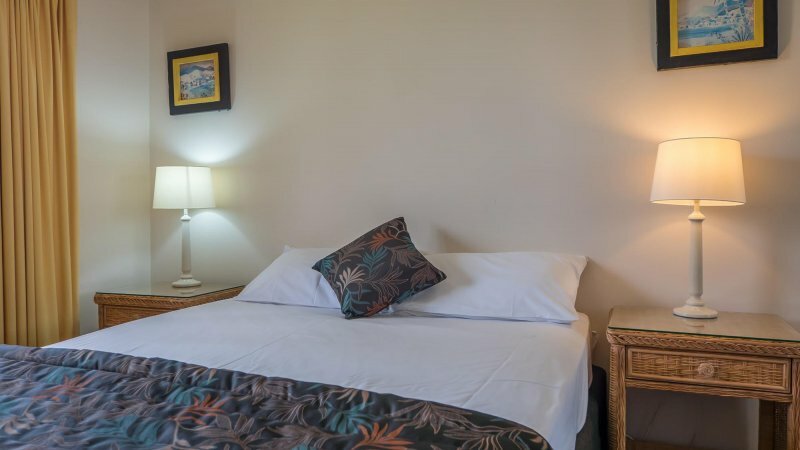 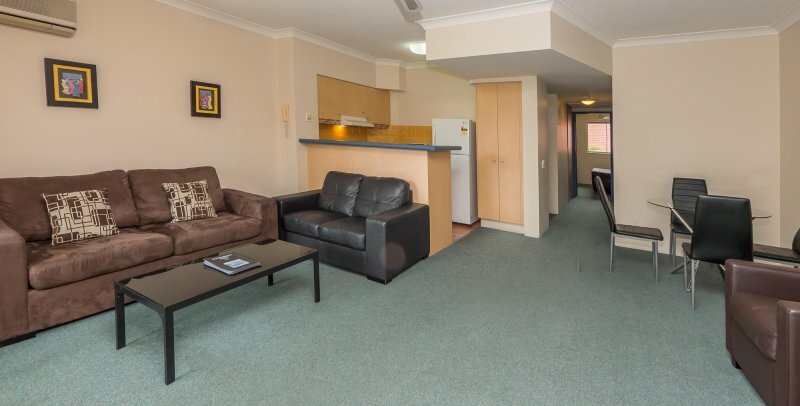 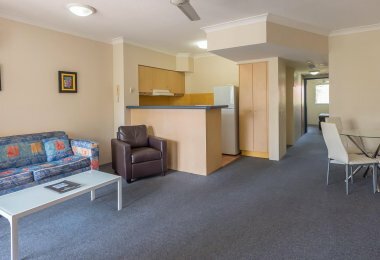 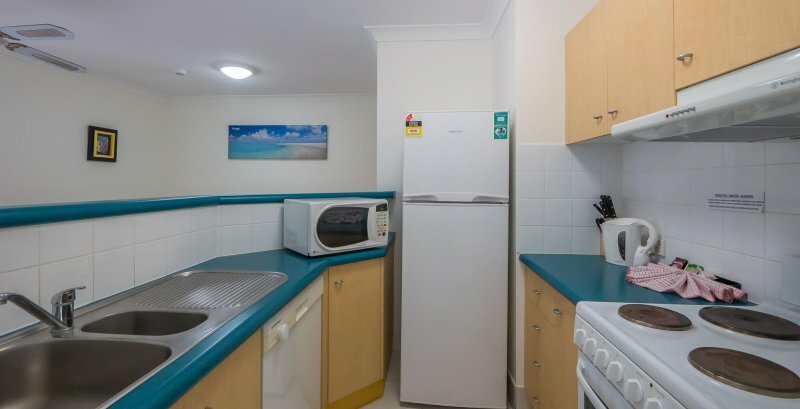 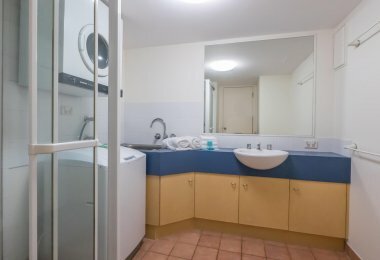 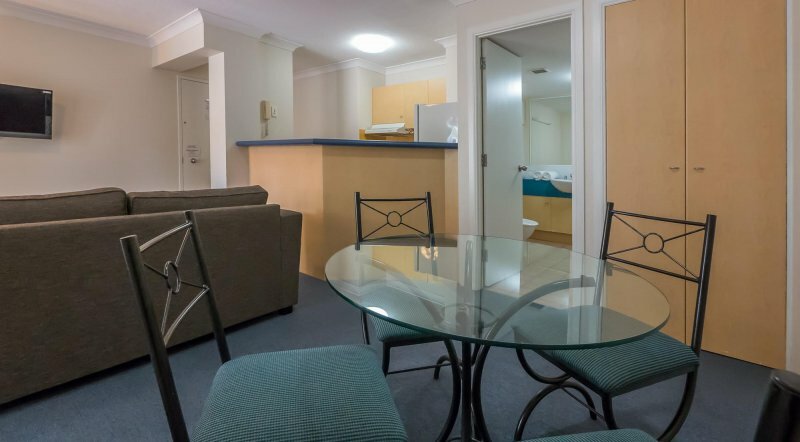 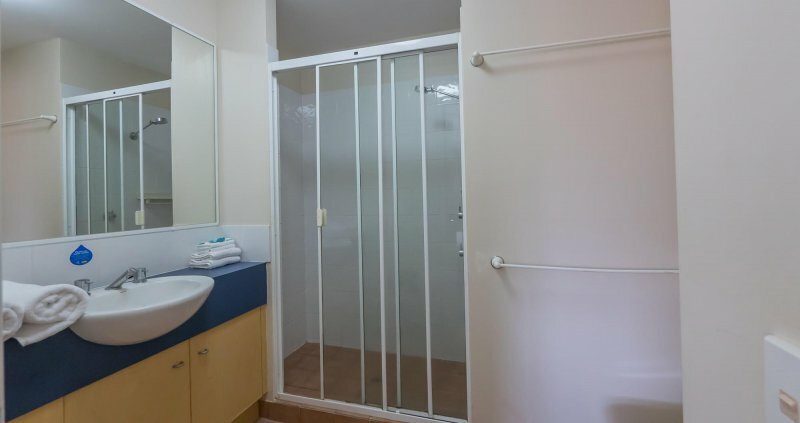 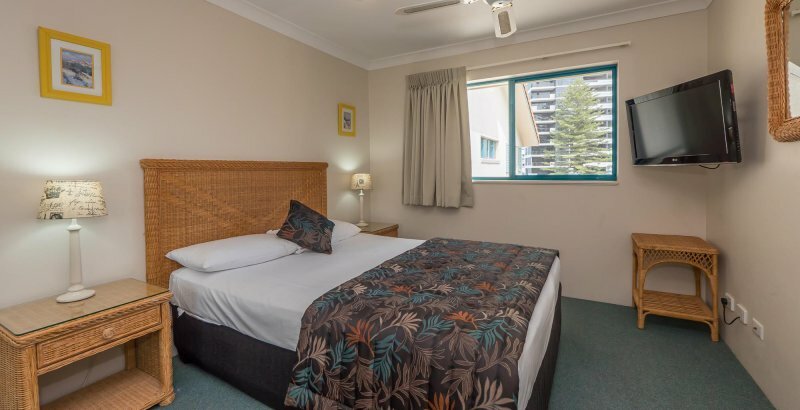 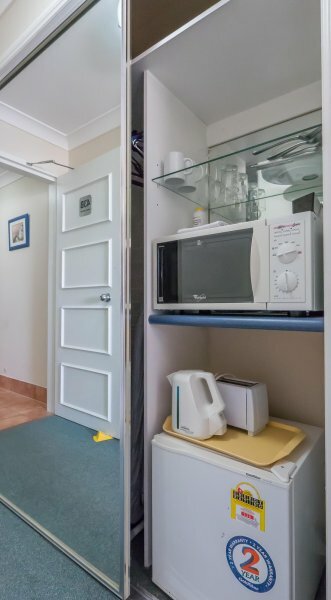 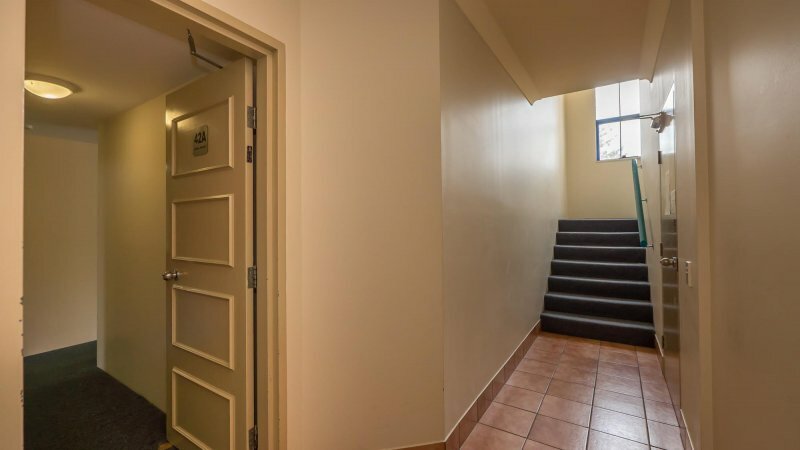 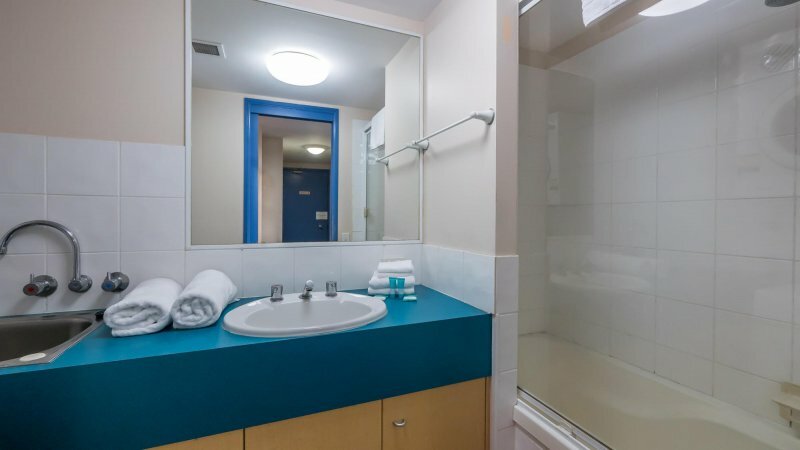 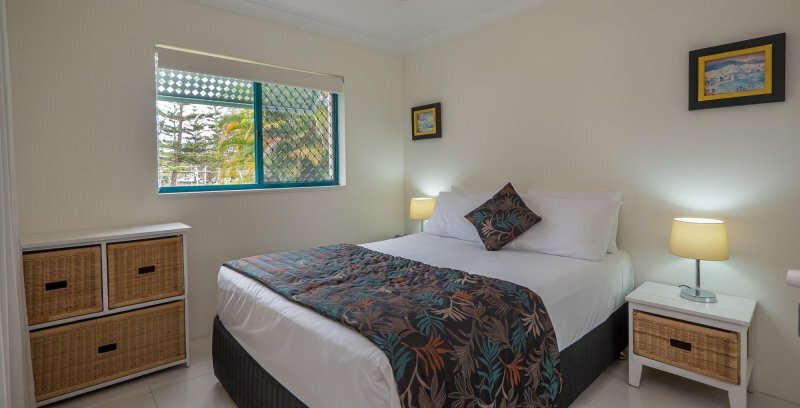 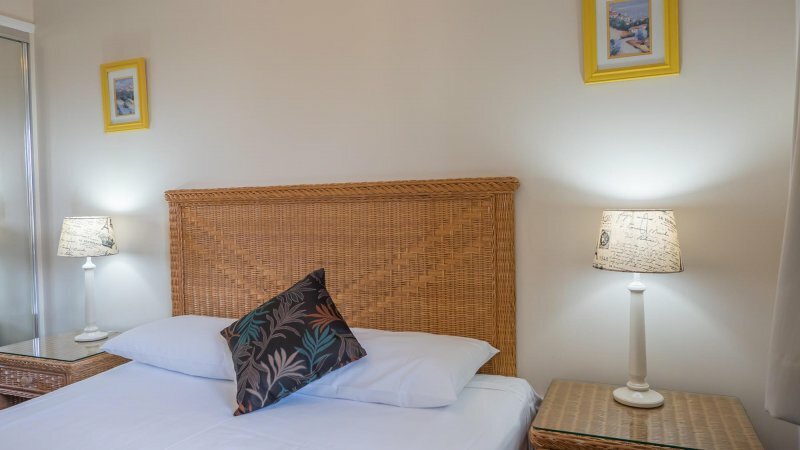 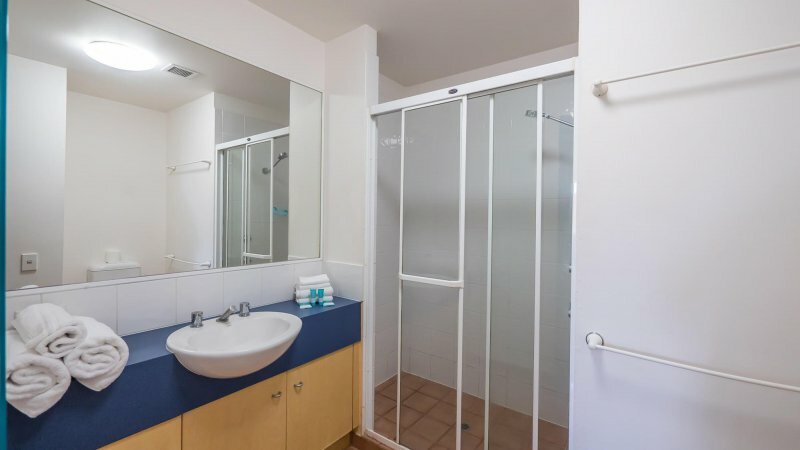 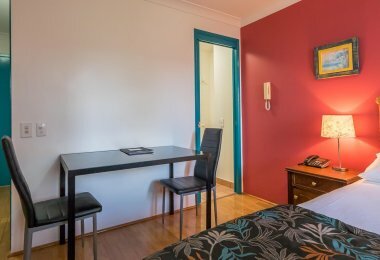 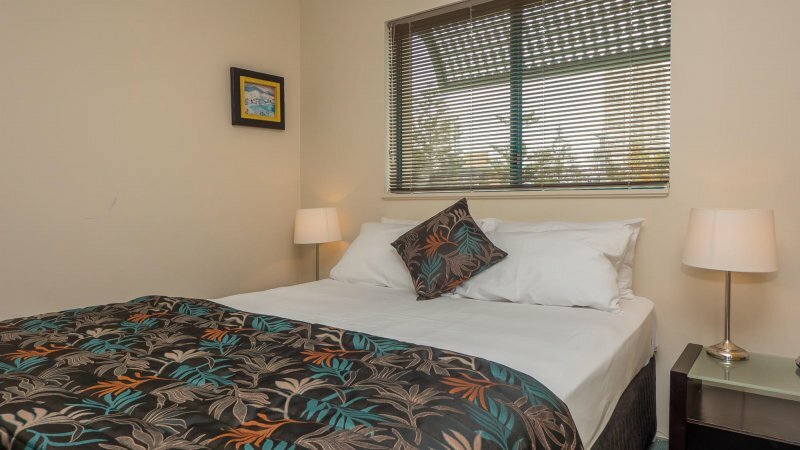 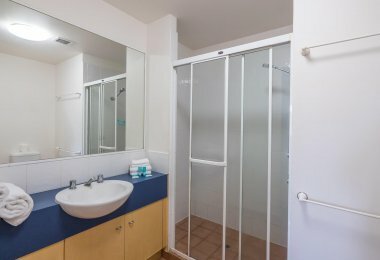 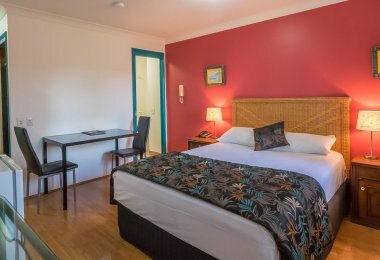 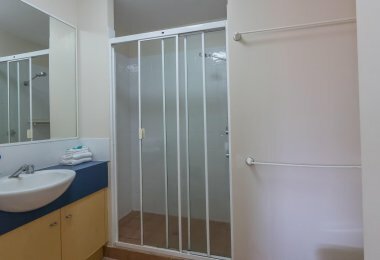 This compact suite comes with one queen size bed and ensuite and includes air conditioning and a ceiling fan and also offers Foxtel TV and free, secure undercover parking. 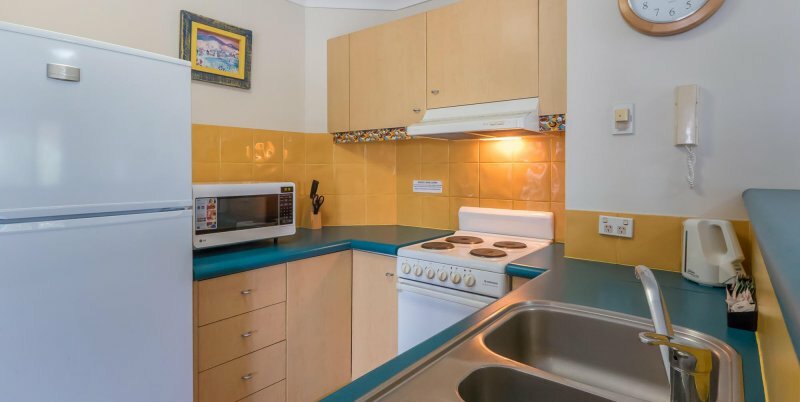 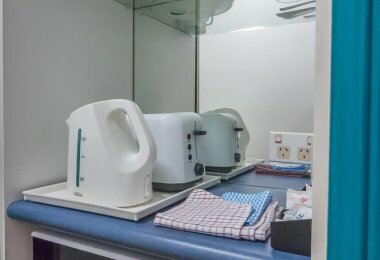 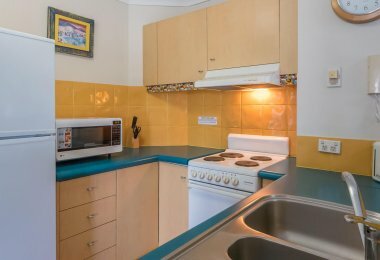 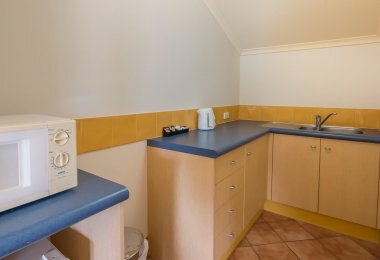 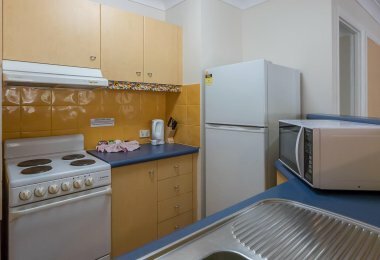 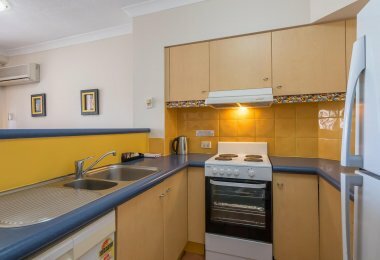 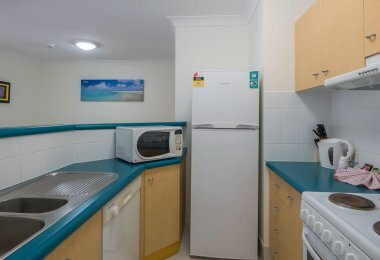 The kitchenette is equipped with a microwave, fridge, toaster and tea & coffee making facilities (no separate kitchen). 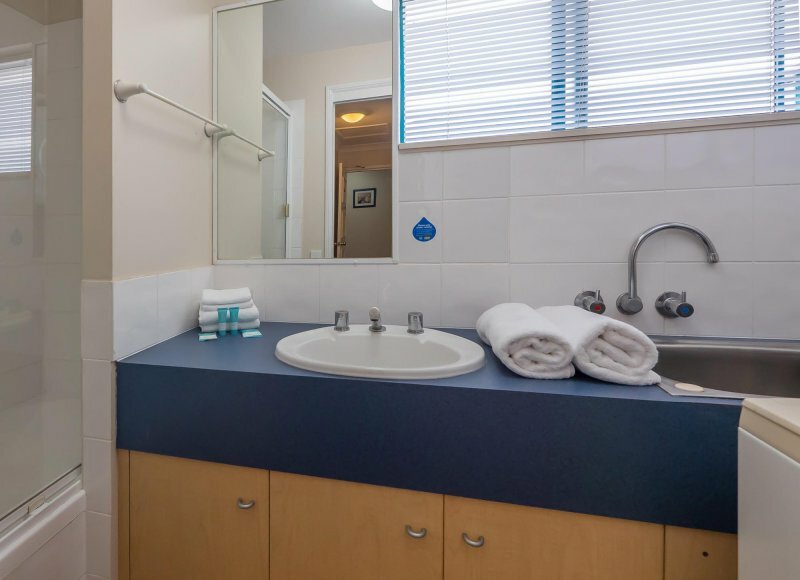 Each suite includes cable TV and a private en-suite bathroom. 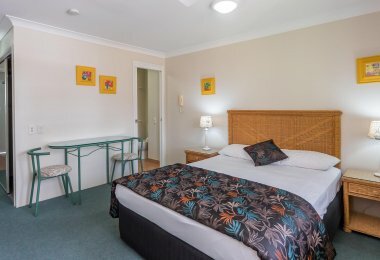 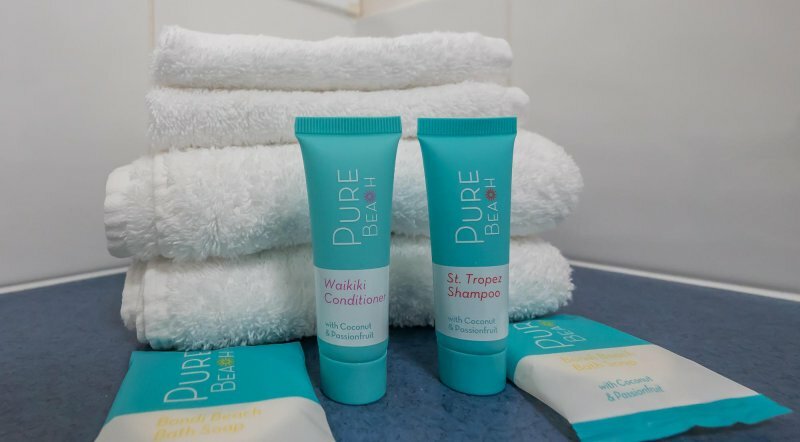 Our 1 bedroom units have 1 queen bed and a double sofa bed (fee applies). 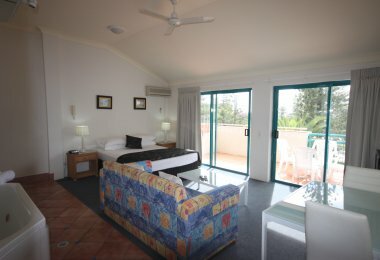 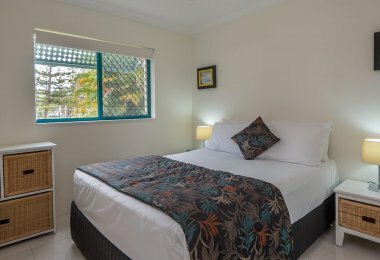 There is a spacious living and dining area, a fully equipped kitchen and a bathroom with shower and laundry facilities. 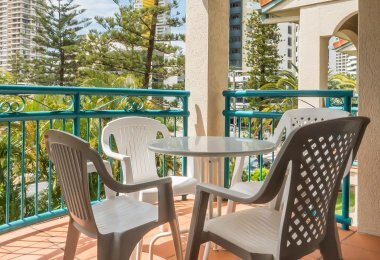 Make the most of the perennial Gold Coast sunshine with an alfresco breakfast on your own private balcony. 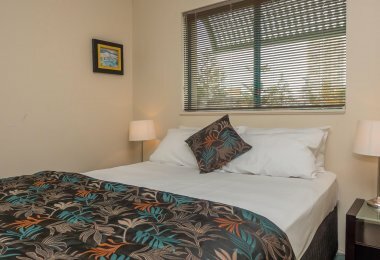 One bedroom apartments are suitable for a maximum of 3 adults or 2 adults and 2 children but cannot exceed 4 guests in total. 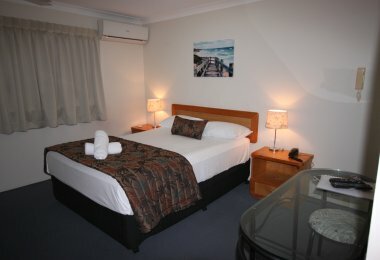 Rates are for 2 guests, extra guest charge is $35 per person per night which includes a double sofa bed. 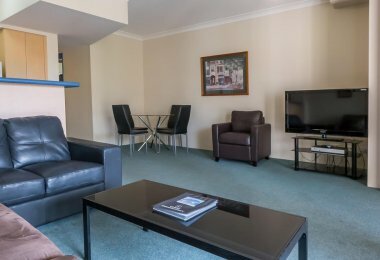 Each suite includes cable TV. 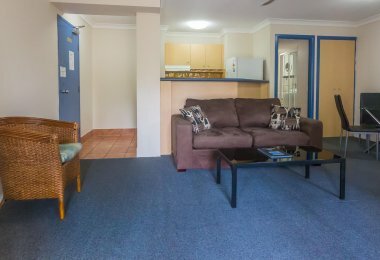 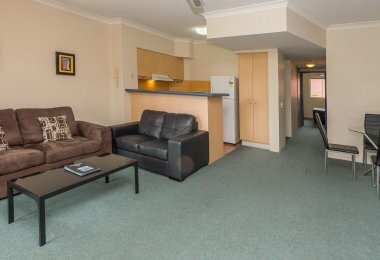 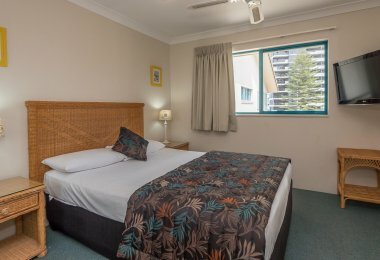 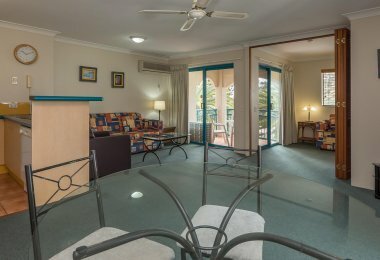 Our spacious two bedroom Gold Coast holiday apartments have two queen beds and one double sofa bed (fee applies). 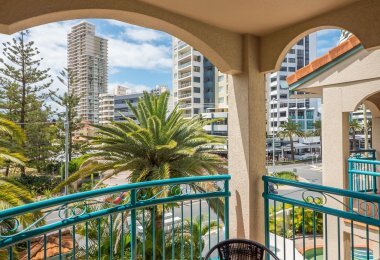 Each apartment has its own balcony east facing, to take advantage of the morning sunshine. 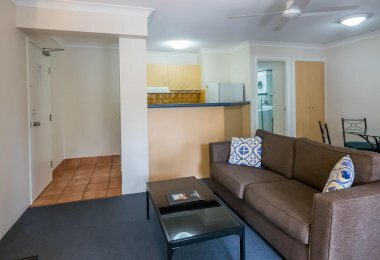 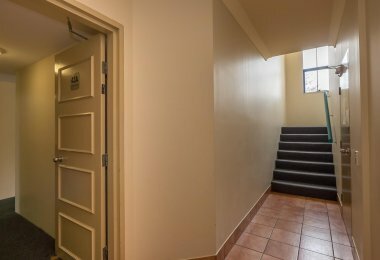 There is a fully equipped kitchen, a comfortable lounge and dining area and a bathroom with shower and laundry facilities. 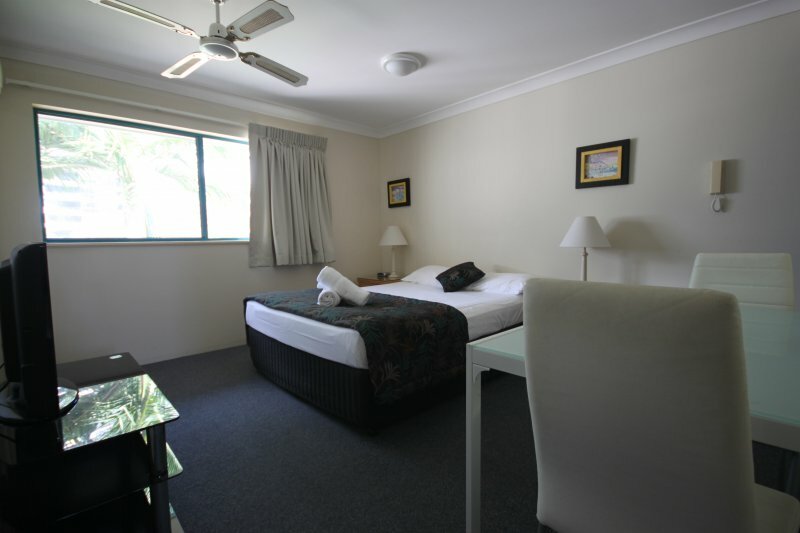 Two bedroom apartments are suitable for a maximum of 5 adults or 4 adults and 2 children. 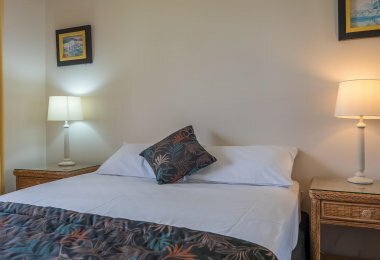 Rates are for 4 guests, extra guest charge is $35 per person per night. 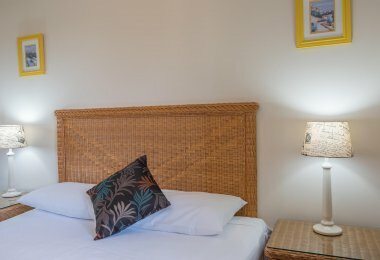 The spacious three bedroom apartment has three queen-sized beds and a double-sized sofa bed (fee applies). 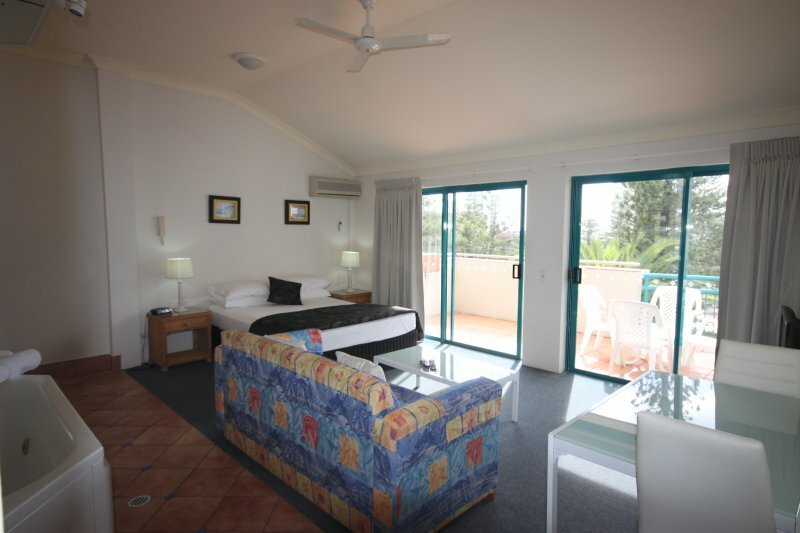 The three bedroom apartment is suitable for a maximum of 7 people. Rates are for 6 guests, extra guest charge is $35 per person per night.